Hi everyone! 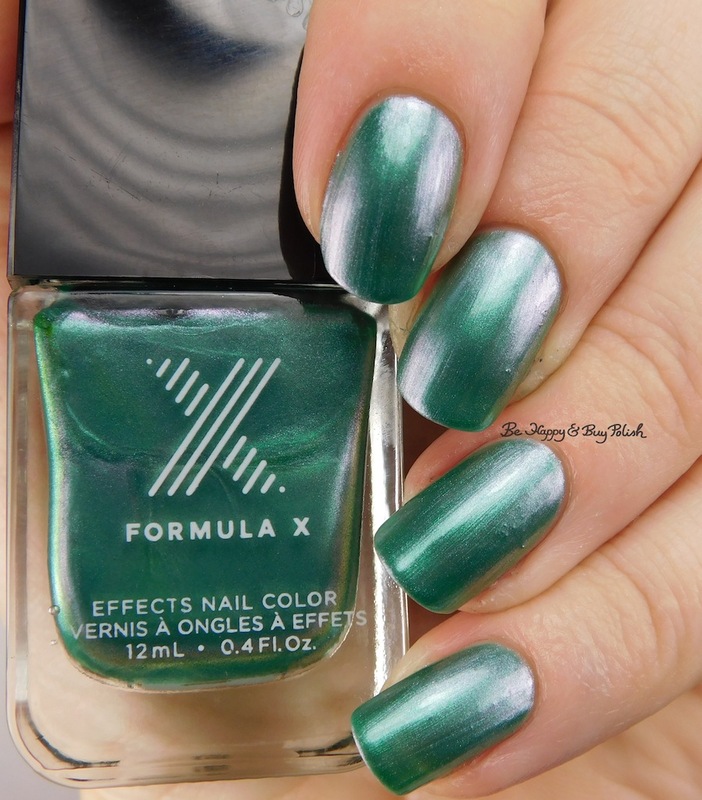 I have 3 Formula X polishes to show you today: Sublime, Funky, And Infamous. These are all duo or multi chrome polishes. Do they compare to indie multi chromes? Read on to find out. Sublime is a sage green to glowy green to pink multichrome. Formula on this was super thin and sheer. This is 3 coats and no top coat. 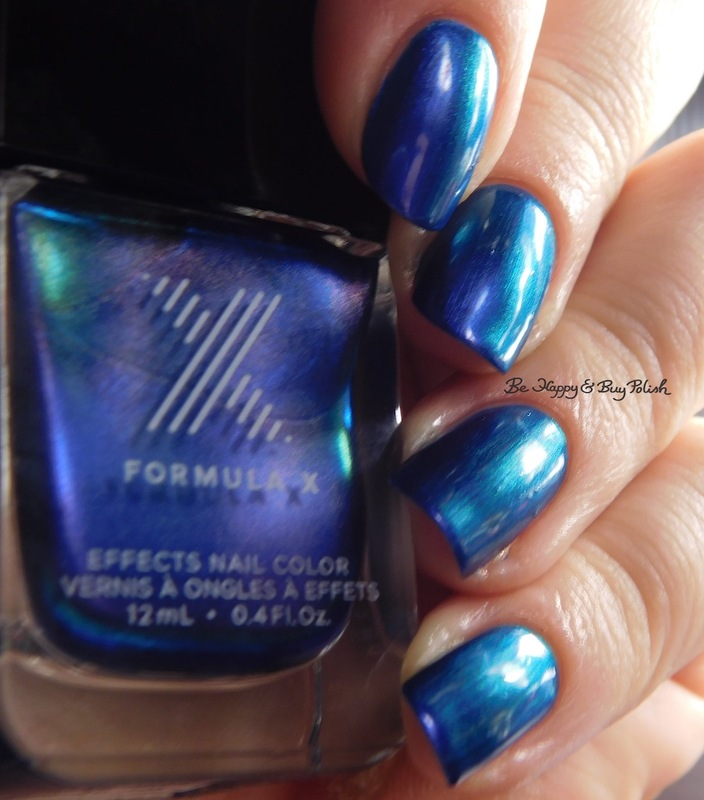 Funky is a bright blue to purple to glowy teal multi chrome. Formula is thin and stinky! It does dry semi-glossy. Infamous is a purple to grey to green to blue multi chrome. Formula is thin and brush-strokey; it does dry semi-glossy. Obviously I really love Infamous but I’m glad I bought these on clearance. If I had paid full price for such thin and floody polishes, I wouldn’t be happy. 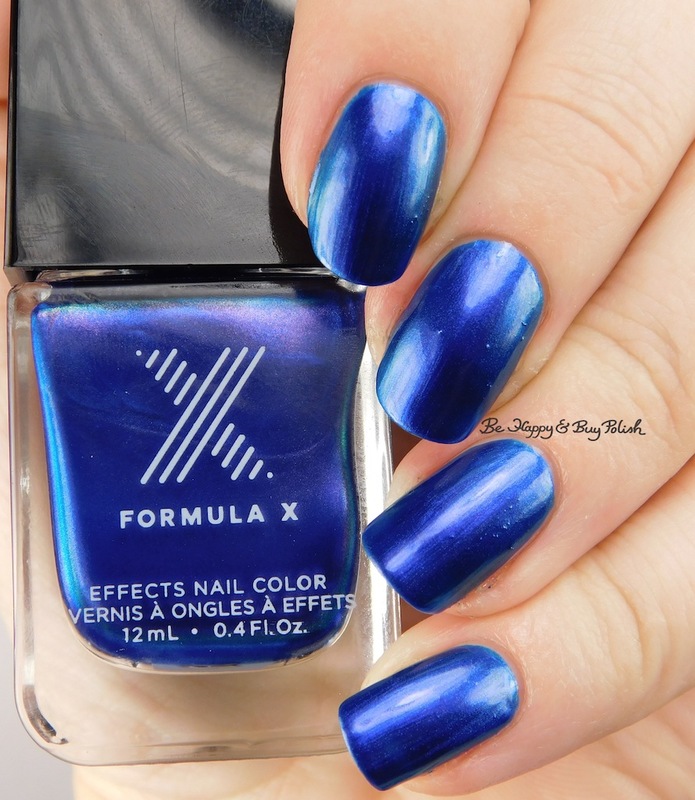 I really do prefer indies for such complex polishes because usually the formula is much better! What are your thoughts? Nice swatches! Those are some interesting colors too. Hahaha!! Gotta love those skunky blues, huh? But you made them all look great (especially Infamous)! I do love a shifter! Curious to know how you think they’d do over black undies. I’m a fan of layering – especially if it cuts down on coats and helps to pop a shift. If you tried that, let me know how it went! I won’t bother picking these up if you tell me I can’t layer ’em effectively. Sublime is so pretty, too bad about the formula!